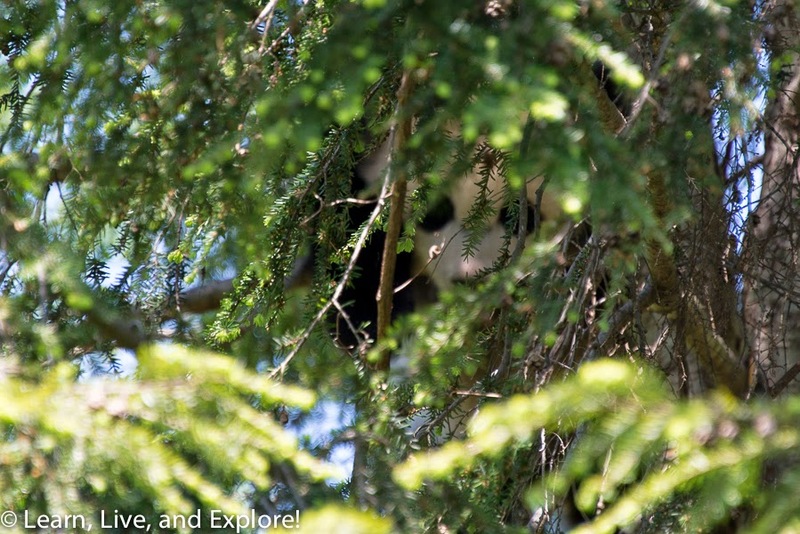 Spotting the Baby Panda at the National Zoo ~ Learn, Live, and Explore! 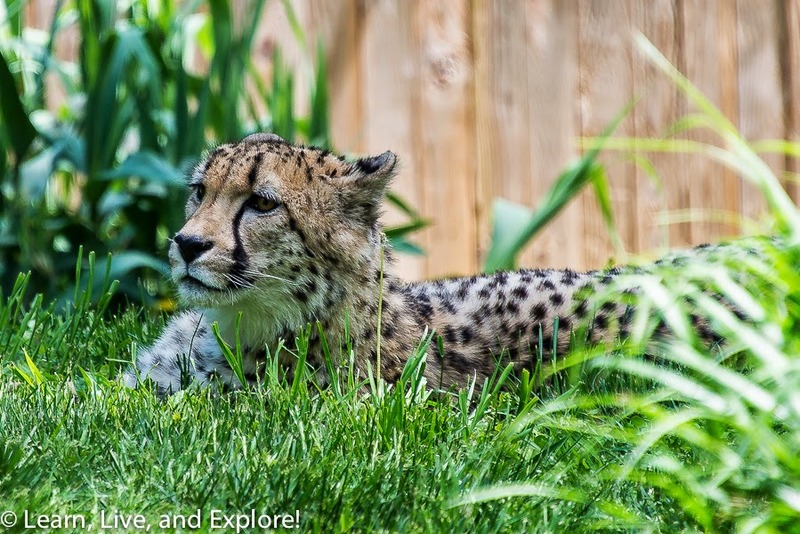 One of the best places to visit in Washington D.C. is the FREE national zoo. 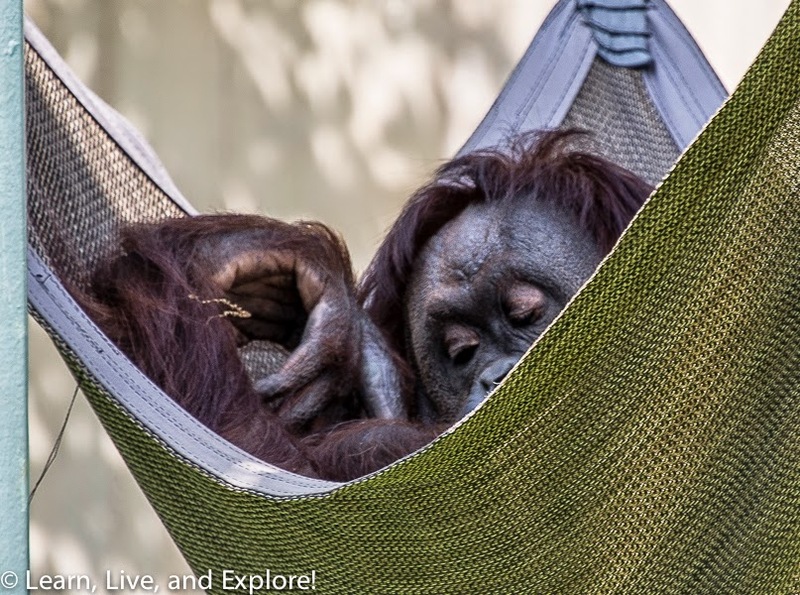 In the past two years, the zoo has been baby central. First came the two cheetahs, now two years old (Gat the Cat pictured above). Then came the infamous baby panda, Bao Bao, that had me spending way too much time watching a grainy black and white live camera feed. 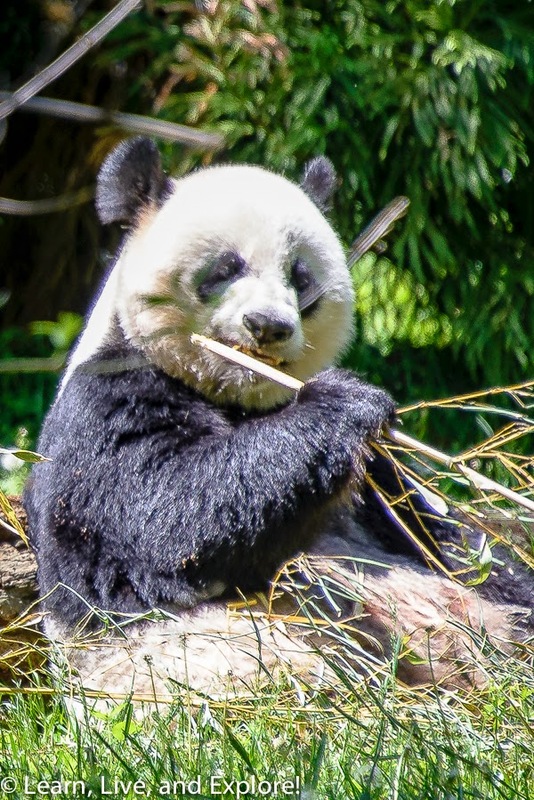 I think that Bao Bao is now around 8-9 months old. 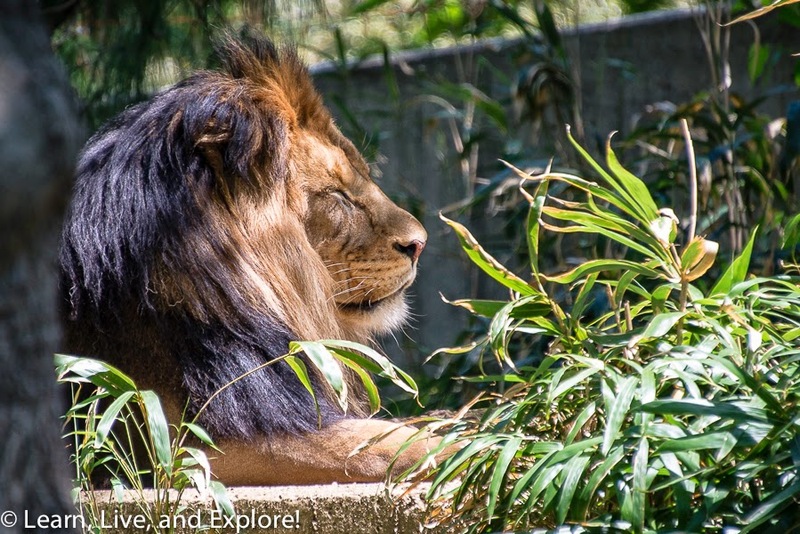 Then, most recently, the zoo welcomed baby lion cubs! So, when Mother's Day rolled around last weekend, we finally committed the time to make the trip in to see all the babies. It was a warm day, so getting there late morning left us with some sleepy animals for sure. 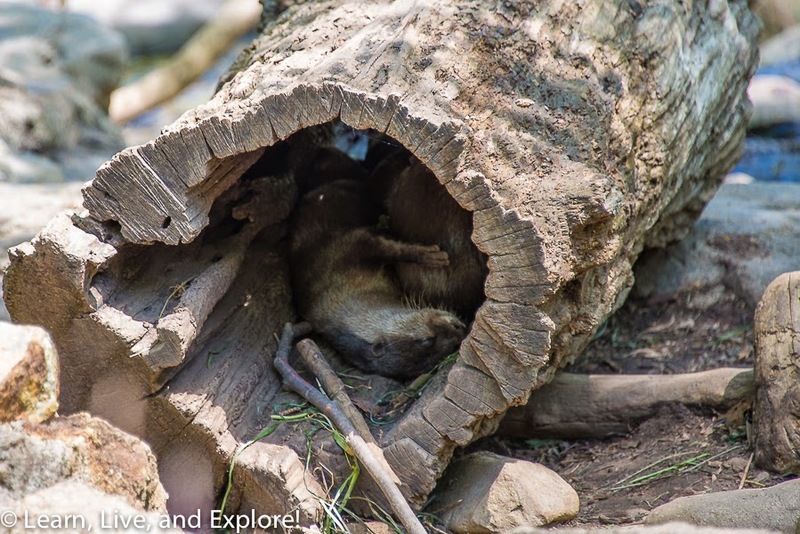 The only activity was primarily from the elephants and the new set of otters that were enjoying a refreshing swim and play time while their mom and dad caught some "zzz"s in the hollowed out log. And while dad the lion was taking a "cat nap" in the warmth, unfortunately the new cubs were sheltered inside. I've heard that they have more swimming lessons to take before they can be left to safely wander the lion enclosure with its water feature. 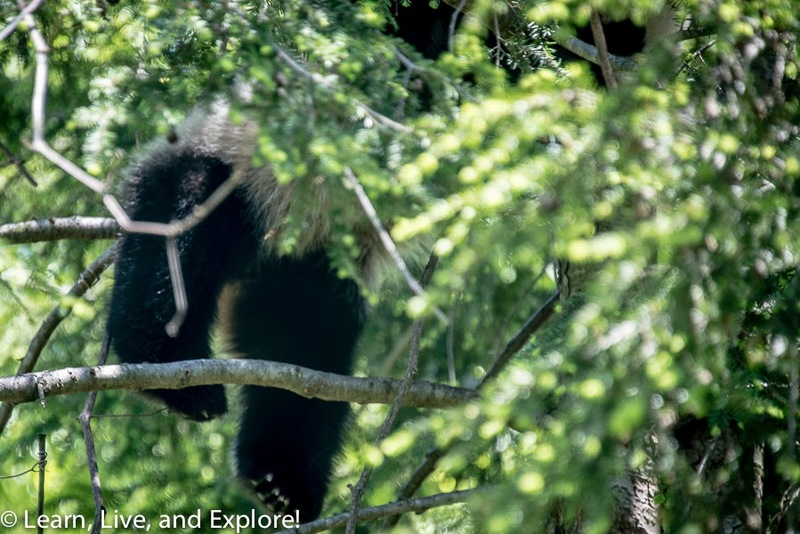 Since my real objective for our visit was to finally lay eyes on little Bao Bao, we followed the masses through the Asia Trail only to see mom chomping on a mid-day snack while the wily little Bao Bao maneuvered herself up a tree to frustrate all of the gawkers, including myself, trying to get a good photo of her. I was left with a blurry face and dangling rear legs as my only options. 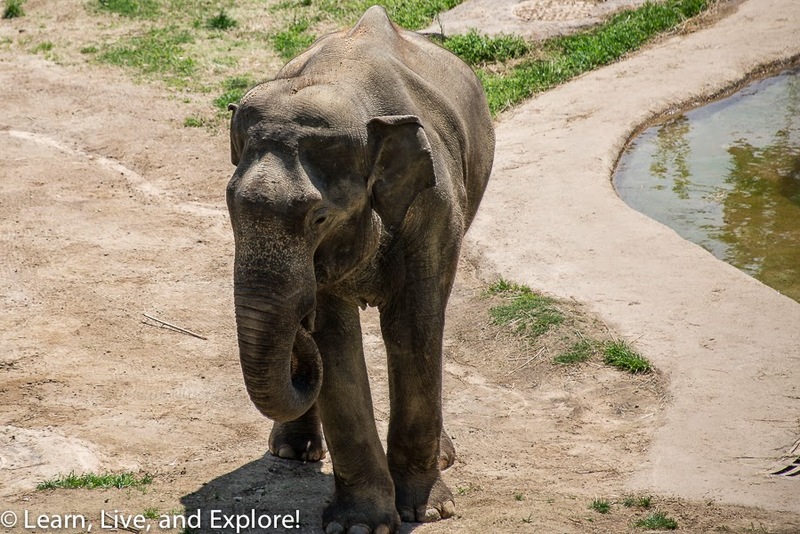 I guess I'm just going to have to go back to the zoo real soon before it gets too hot! That baby panda is too cute to resist!